I purchased this paper from Michaels about a week ago. It's Recollections' "Rockets and Sprockets" paper line. 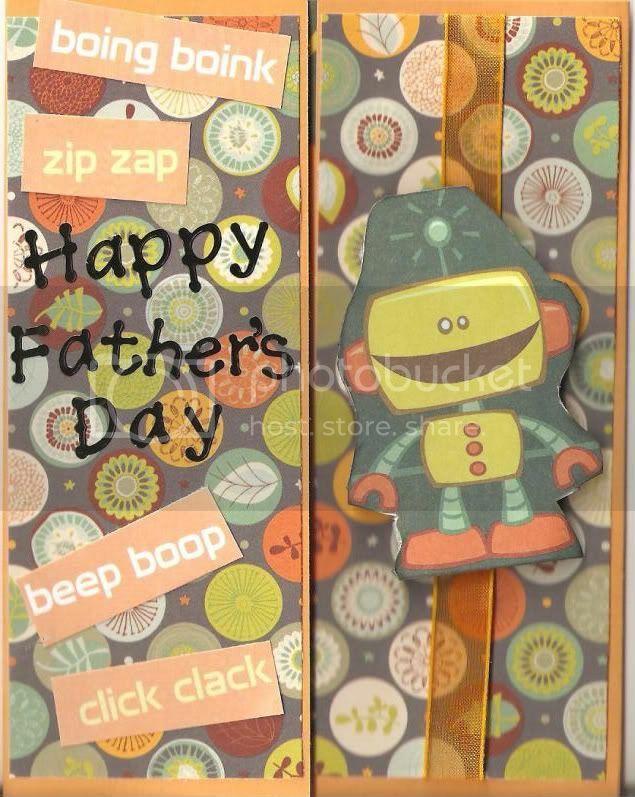 While its makers probably envisioned it as for a little boy, I thought it would do for Father's Day. 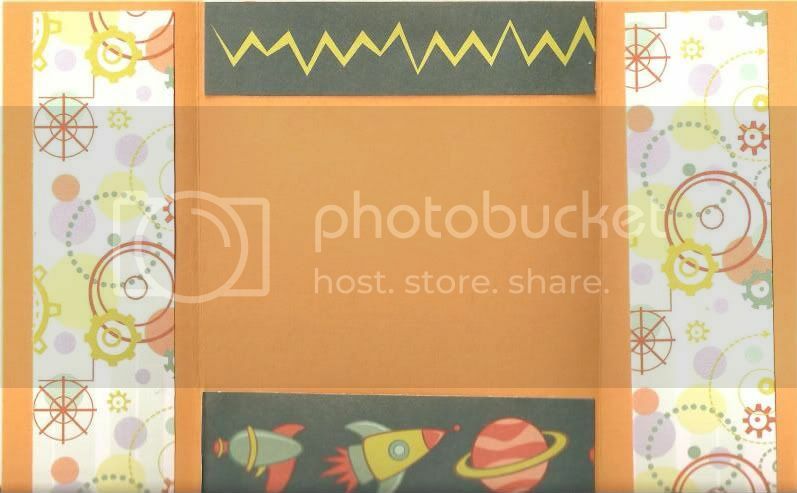 Still on my gatefold card kick, I got the idea from a Youtube video by Christina from Creations with Christina. She used the paper from that popular monster line and the Cricut cartridge, which is super cute but I don't have it yet and couldn't find the paper. This guy makes me think of the Jetsons.